Morocco is a country located in North Africa. It is a country that is full of beautiful sceneries and different landscapes that everyone should try to visit. It will entice you with its golden beaches and its crimson houses located in Marrakech. It will make you fall in love with the beautiful Sahara desert and the stunning Atlas Mountains. Those beautiful places are the reasons why Morocco is well-known all throughout the world. In fact, we strongly suggest to everyone to visit this country and discover all its diversities. In 2 days, you can already enjoy the life in the desert. You can enjoy the view of the sunrise, framed by the golden sands of the desert. If you’re lucky, you may even meet some adorable desert animals like desert foxes and camels. Below is the list of activities that we will do on our two days and one night trip to the Zagora desert. Our trip will start in the Marrakech where we are scheduled to depart at 7 o’clock in the morning. We will drive for two hours through Tizi N’ Tichka – North Africa’s highest major mountain pass. After the 2-hour drive, we will have a short stop so we can devour a tasty Moroccan breakfast. During the stop, we can take some photos and enjoy the scenery over the mountains. 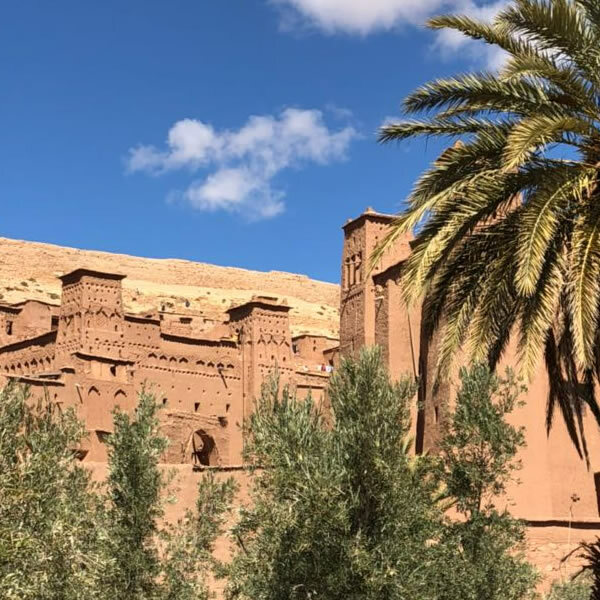 After satisfying our stomachs and filling our cameras with beautiful photos, we will continue our trip to the magical city called Ouarzazate. People also call this place the Hollywood of Morocco because of the high number of movies that were filmed there – including Babel which was starred by Brad Pitt. You can also visit and enjoy the Ait Ben Hadduo Kasbah which is a great example of an obsolete and fortified Moroccan city. It is considered as a UNESCO world heritage as well. After visiting Ait Ben Hadduo, you can proceed to the Atlas Film Studios. You will surely enjoy the cinematic experience while you are there. 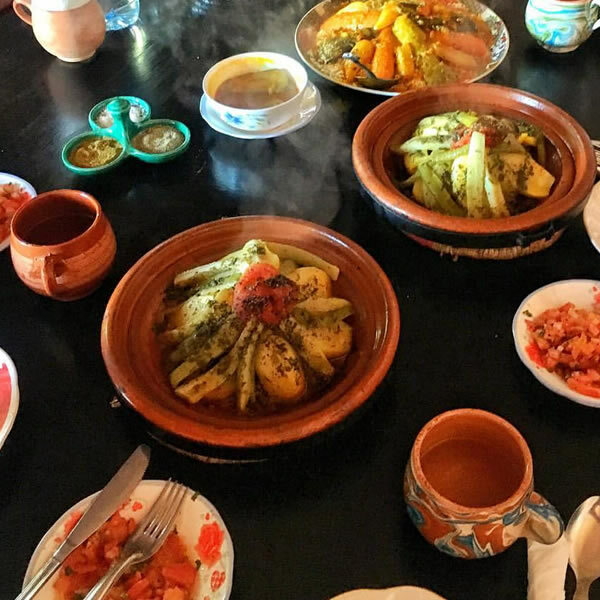 A satisfying lunch will be served to you in the Ouarzazate. The food will prepare you for the exhausting but fun trip to Zagora. While traveling to Zagora, we will drive by the Agdez and other Berber villages. Aside from that, you can also have the chance to visit Draa Valley which has the longest river in Morocco. The view of the river will leave you dumb-founded! You can take as many photos as you want while we are in Zagora and you can also rest for a bit before heading to the downtown of Zagora. The camels will be waiting there, and we will ride them to camp for one and a half hour. We are expected to arrive at the camp just before the sun sets. At the camp, you can relax while sipping a sweet Berber mint tea. You will then also enjoy a sumptuous dinner. After satisfying your stomach, you can play some music by our campfire. The nomads of Sahara called Touaregs will accompany you throughout the evening. On the second day of the trip, it is best that you wake up early so you can enjoy the view of the sunrise in the desert. It is indeed the perfect way to start your day. It can even put a smile on your face all throughout the day. After enjoying the stunning desert sunrise, we will experience another delicious Moroccan breakfast. We will then leave for Marrakech where we are expected to arrive in the evening.